Diane and her guests discuss the next frontier in space exploration, the future of NASA and private space ventures. Joel Achenbach Science reporter, The Washington Post; writer for Achenblog; author of "A Hole at the Bottom of the Sea: The Race to Kill the BP Oil Gusher." Scott Pace Director, Space Policy Institute, and professor of the practice of international affairs, George Washington University. Lori Garver General manager, Air Line Pilots Association and former NASA Deputy Administrator. MS. DIANE REHMThanks for joining us. I'm Diane Rehm. Last month, NASA administrators made a surprising announcement. There would be no new flagship missions costing more than $1 billion. As Washington Post reporter Joel Achenbach writes, the space community feels it's facing a new era of limits, even as the universe itself is screaming to be explored. MS. DIANE REHMJoining me to talk about the next frontier in space exploration: Joel Achenbach at The Washington Post, Lori Garver, former NASA deputy administrator, and Scott Pace director of the Space Policy Institute at George Washington University. Throughout the hour, I'll look forward to hearing your questions, comments, 800-433-8850. Send us an email to drshow@wamu.org. Follow us on Facebook or Twitter. Welcome to all of you. MS. LORI GARVERThank you. Good morning. REHMJoel Achenbach, I love that phrase that the universe is screaming to be explored. What do you mean? ACHENBACHWell, what a wonderful time to be involved with space science. Just a few weeks back, they announced, based on the Kepler space telescope viewing of the galaxy, that it looks like there probably are tens of millions potentially of habitable -- potentially habitable planets in our galaxy. Now, we don't actually know if they actually have life. But this is a period in which the study of our galaxy and the discovery of these exoplanets is very exciting. ACHENBACHPlus you have all these scientific missions going on on Mars. The Cassini mission to Saturn has been a big success. It's a lot of excitement about a recent discovery that Europa appears to have these plumes of water shooting out of the south pole of Europa. That's one of the moons of Jupiter. So it's a very exciting time in science. And scientists are saying, you know, give us some more money to do some more big missions. REHMAnd, Lori Garver, that is precisely the problem, not enough money for NASA. GARVERI'm not sure it is actually. I believe that NASA and their $17 billion has an incredibly exciting and important space program. Of course, we could do even more with our $17 billion. And I think, if we did that, we would engender that support from the public and their elected leadership. NASA has been leading space exploration for over 50 years now. GARVERIf you total up the budgets of every other country and their space programs on the planet, NASA is greater than all the other space budgets, including Russia, China, all of Europe, South America, Canada, Japan, so we have a healthy space program. I think the key is focusing it on doing new and innovative things that return real value here on Earth. REHMBut, Scott Pace, what about NASA's decision not to fund "flagship missions"? Tell me what that means and what constraints it offers. PACEWell, there's a tension there in that the scientific community sets priorities amongst itself with called Decadal Surveys, and they argue among themselves and set what's the most important thing they want to look at in planetary science or astrophysics or whatever the field is. And so NASA doesn't pick its own science priorities. Those science priorities come from the community. PACEAnd the problem is is you start pushing and saying, well, what are the most ambitious, cutting-edge things we can possibly do? Well, all the easy stuff has been done. So you're always, by definition, doing things that are really hard and are challenging. And that leads you to big missions or expensive missions. And Lori's correct. There are other innovative ways of doing science, and those are being explored. PACEThere's partnerships not only with the international community but partnerships with the commercial community that can be done. But really, when you're talking about pushing the edge of science, like exploring for life on Europa, you're talking things that are big, big amounts of resources. And so the opportunities we're seeing out in front of us also reflect the fact that, you know, we're talking the easier, less expensive options that might have been done have been done. And now leadership is pushing us out to the frontier of budgets as well as science. REHMSo, Joel Achenbach, what about private space ventures? Can they not make up the gap? ACHENBACHWell, in space science, I don't think that the private sector is going to suddenly send a probe to explore that ocean on Europa around Jupiter. Lori Garver here is one of the great proponents of, I think it's fair to say, commercial crew, the commercial sector in having NASA help fund the private sector taking over the job of getting astronauts to low Earth orbit. It -- let me just go back to what the other two guests have said. ACHENBACHThe big problem with NASA in recent years -- and everyone has told me this, and please disagree if you think this is wrong -- is that it has so much that it's trying to do on a flat budget, so it's trying to develop a new heavy-lift rocket, the space launch system. It's also trying to develop a new capsule, the Orion capsule. Meanwhile, it's trying to get the commercial sector, the commercial crew program going. And it does space science. It's about 5 billion a year. It has a lot of different things it's trying to do, and it doesn't seem that it's able to do all of them. And so there's lots of little compromises. ACHENBACHSchedules slip, and -- speak to -- I mean, you have said that, Lori, specifically in my article we ran just a few weeks ago, that the decision to go forward with SLS and Orion with that -- and try to do everything else created a crunch for NASA. GARVERSure. Of course. It's all about tradeoffs. And at this point, NASA, after 55 years, has a number of constituencies that we have fed for a long time. We said space isn't really partisan. It's parochial. And if you have, in the human spaceflight area, grown up developing big rockets, you want to keep developing them. It's really not that different on the science side. GARVERIf you're a Mars scientist, you want to keep having NASA fund your Mars missions and keep redoing, for instance, what we just did with Curiosity -- is now planned again for 2020 -- instead of what you could be doing, going -- driving in a new direction on Europa. Those are the tradeoffs. We make those tradeoffs in every other public policy arena. You know, do farmers look for farm subsidies? You bet. GARVERDo mortgage bankers look for better tax breaks for mortgages? You bet. And planetary scientists and human spaceflight people look for money for what they're already doing. NASA needs to push and do new things and be less about the status quo and the already developed constituencies and keeping them fed. As long as we're doing that, we aren't going to have the money to do new things. REHMBut if NASA is science-oriented and the private organizations are looking for profit-making devices, aren't you on two different paths? And isn't NASA sort of left behind? PACEWell, the -- and this is where it's important to have, really, a political discussion as to what are the things you want NASA to do. Science is part of what NASA does. Promoting technology innovation is also something NASA does. NASA was created as a Cold War response to the challenge of the Soviet Union. So NASA, for many years, has been a political -- a geopolitical tool of presidents. The space station program is not purely a science effort. REHMSo, for example, should NASA be thinking about sending an astronaut to the moon? PACEWell, I think NASA should be doing that. But the reason for that is not simply because I have a fondness for lunar science but because I think it could meet an important international objective, which is bringing other countries along with us, particularly emerging space powers, such as India and -- I'll also say it -- China, that NASA can and should be a foreign policy tool of the United States. And I think a human return to the moon poses some opportunities for international outreach in ways that asteroid or Mars missions right now cannot. REHMHow do you feel about that, Lori, a man on the moon returning to the moon? REHMYou don't think there is such a purpose now. GARVERI don't think there is a driving purpose for us to land someone on the moon in a way that, as we did in the '60s, spent 5 percent of the national budget. ACHENBACHWell, I'm curious, Scott, do you think it was a mistake to cancel the Constellation Program? Is that correct? Or maybe, Lori, you could discuss that decision. 'Cause that is such a big moment for NASA in recent years when President Obama said, we are not going to go back to the moon, which was the program under President Bush. It was to build a couple new rockets and go back to the moon. So I'm curious what you think about that decision. PACEWell, I think there's really two different parts. I mean, short answer is, yes, I thought cancelling Constellation was a mistake. But you have to distinguish Constellation from the broader vision for space exploration. So there really are two different things. There's what are you doing in human spaceflight, you know, going to the moon, on to Mars, asteroids, and so forth? And then there's a different strategy you could take, which the Augustine Committee talked about, which the Obama Administration also talked about. PACEAnd then there's the particular program that you would put together to do that strategy. So I think that the Constellation Program was reflective of a particular way of doing the vision for space exploration. I think there were other ways you could have done that. But I think the Obama Administration really did two things. They chose a different program, and they chose a different strategy. REHMScott Pace, he is director of the Space Policy Institute at George Washington University. He served as associate administrator for program analysis and evaluation at NASA from 2005 to 2008. Short break. We'll be right back. REHMWelcome back. I know we have lots of callers waiting and emails as well. But we'll talk a little more and bring your calls in as soon as we can. Joel Achenbach at the Washington Post is here. Lori Garver, general manager for the Airline Pilots Association. She was NASA deputy administrator from 2009 to 2013. And Scott Pace, director of the Space Policy Institute at George Washington University. REHMComing back to you, Joel, you wrote in an article that NASA has, quote, "middle age problems." What do you mean by that? ACHENBACHMaybe I was projecting a little bit there. But I think if you look at the early years of NASA from Sputnik to Apollo 11, Sputnik is 1957. Twelve years later, there are astronauts walking on the moon. Incredible momentum in those early years. NASA was founded in 1958. And it was so exciting. And then it's always kind of had a problem figuring out what to do after Apollo 11, after the Apollo program. ACHENBACHSo they came up with the idea of the space shuttle. The visionaries wanted to go on to Mars. There was this whole idea that Mars was the next step. Astronauts on Mars. But very expensive, very challenging. ACHENBACHAnd so, they came up with the idea of the shuttle and then the International Space Station. The space station has always been controversial, although I think most people that I talked to for our series in the Post said they thought it was an engineering triumph. I mean, really amazing feat of engineering. REHMBut what happens on that space station? ACHENBACHWell, they do scientific experiments. They study the effects on the human body of weightlessness. It's also an international collaboration, which Scott mentioned earlier is an important part of the space program. And I think in terms of whether it will ever justify the $100 billion that we put into it, that's up in the air. But give it time. The question is how long will it fly. Right now, it's funded through 2020. ACHENBACHAnd when the funding runs out, they'll have to crash it into the South Pacific, which will be a really interesting moment. It'll probably be extended, I'm guessing, maybe until 2028 or so. GARVERTo me, I feel like the space program has been and still should be about doing those innovative things and expanding the frontier outwork. We have done that in our early days at NASA certainly and allowed for tens of billions of dollars of industry to develop. Everything we do today involves space activities. We call it the space program, we're really maybe just talking about human space flight. GARVERBecause that is looking for, I think, a lie. What is our value? We knew what it was in Apollo. But there's only been a brief period of time where NASA had a destination and a timeline that we were working toward. That doesn't necessarily have to be repeated. We've tried, many presidents have tried to set those kind of goals and destinations. And the programs have not been able to move forward because there isn't that need. GARVERThe true why of human space flight is, I think, what people really are struggling to gain at this point. REHMScott, you mentioned international competition that's driving us. Why is that so important? PACEWell, I think it's because the rules in any new environment are made by the people who show up, not by the people who stay behind. And some of the more -- I'm at the International Affairs School now and some of the more interesting problems in foreign affairs these days are areas that are beyond traditional sovereignty, things of the high seas, the air, polar regions, space. And there are many, many more countries that are getting into the space business these days. PACEThe much more globalized activity, very international activity, the U.N. Committee on Space is probably one of the largest ones in the U.N. system. And I think that it's deeply in the U.S. interest to have space be a stable, quiet and peaceful environment because we, as a country, are very reliant on space economically, for our national security, as well as for doing science and innovation, other things. PACESo if we want to shape that environment, for whatever it is, the U.S. is going pursue, it's important to bring other countries along with us. So it's very different than the Cold War time. Lori is absolutely correct in pointing out the difference between today and where we were during the Cold War. But I think we're facing a new series of geopolitical challenges. And it's important to pursue both our security interest in space as well as our commercial and civil cooperation interests to shape that environment in ways that are going to be in the long-term U.S. national interest. ACHENBACHSo what -- for our recent story, John Grunsfeld, who is the NASA associate administrator for science, he runs the whole science operation at NASA. He said very directly that science should be at the core of the mission of NASA. Not that human space flight is not important but that historically human space flight has been the sort of center of gravity at NASA. And he says, why not let the scientific questions be at the center, working with the human space flight side of things to answer big questions? ACHENBACHIncluding, for example, if we could send an astronaut to Mars, let that astronaut be a scientist. And I'd be curious to know what the other two guests think about that. Is it realistic? And specifically, I think one thing that jumps out from the last year is the Asteroid Redirect Mission, which is this very elaborate, complicated mission of capturing a rock, bringing it back to linear orbit. ACHENBACHHaving astronauts visited in the new Orion capsule, launched by the new SLS rocket in linear orbit sometime in the 2020s. Grunsfeld said last year at a conference, he said, this is not a science mission. And I think there's a real question of whether that mission will ever actually happen. But doesn't it make sense to build missions around what is you're trying to achieve rather than around, well, what do we already have going on? Let's see how we can weave them together. GARVERWell, it's -- it would be a difficult proposition to shift the entire NASA budget to focus on science. And it would be definitely something new. If you look at human space flight, it has been driven more, as Scott was saying, on geopolitical goals. If NASA as a -- is going to be only for science, you look at the federal tax dollar, we spend a fraction of NASA's budget on the entire National Science Foundation. GARVERSo I think NASA would be looking at a much smaller budget profile if our only constituency were science. I do believe as it drives right now about $5 billion of the NASA budget that it should be focused on doing new things. And it often is something unfortunately that is shaped more by the status quo and not doing new things because that's the way we get our federal dollars. People who have money want to keep getting it. REHMI want to read for you an email from Mark in Dallas who wants us to at least, for part of the hour, discuss the unmanned science mission. He says: While NASA's done a better of publicizing these missions than they used to, I still find a lot of the general public think all NASA ever did was fly the space shuttle. The majority of science and research NASA does comes from small and mid-size, by NASA standard, missions. REHMYet whenever NASA has to cut back on its budget, these are the first on the chopping block. Joel Achenbach story in the Post points out how NASA has spent more than $3.5 billion over 15 years to build the Cassini mission to fly to Saturn and now are threatening to turn it off four years early just to save $60 million, less 2 percent of the total cost. Lori? GARVERThere are budgets within the science program that I think should be expanding. And right now, you have earth sciences and heliophysics, two areas that don't get a lot of attention, that are growing and that we have invested in that we believe is going to return that great value. NASA has done a good job on its planetary missions, being able to connect with the public. I think the Mars Curiosity is the best recent example. GARVERKepler also, though, as Joel outlined is returning this unbelievably amazing new information about exoplanets and potential of life elsewhere in the universe. Asteroids are that part of the universe that do impact, in many ways, life on Earth. We know it has in the past and that's the reason we have targeted asteroids for increases in our detection and our ability to potentially go there not only with robots but ultimately with humans. ACHENBACHYeah. Point one thing out, which is that the planetary science budget took a hit after the main cause of Curiosity went down, after they've got the rover ready to go. The planetary science budget did go down rather precipitously and they have been lobbying, the scientists who work on planetary missions, lobbying very feverishly for an uptick in their budget. We'll see what happens. But the problem is that, first of all, Curiosity ran nearly $1 billion over budget. ACHENBACHAnd then over in the astrophysics side of things, the James Webb Space Telescope is many billions of dollars over budget and delayed by a number of years. So the science missions themselves have had some sense with the budget and that's hurt everyone. REHMAnd joining us now from his office here in Washington, D.C., Mike Gold. He's director of D.C. Operations and Business Growth for Bigelow Aerospace. Hi there, Mike. Thanks for joining us. MR. MIKE GOLDHappy new year, Diane. GOLDIt's a pleasure and honor to be on. REHMThank you. Tell us a little bit about Bigelow Aerospace. What is the mission of the company? GOLDWell, we are explicitly dedicated to developing expandable space habitats, which are the next generation habitat technology that will both reduce costs and increase capacity for commercial or governmental operations in low earth orbit -- the asteroids, the moon or beyond. So it's something that in this budget environment where you want to decrease cost, increase capacity, should be very good. GOLDWe have two spacecraft in orbit already and will soon, I can now say it because it's 2014, next year we will be sending a prototype international space station. REHMAnd what about the relationship between NASA and commercial enterprises like yours? GOLDIt's been very important. I think whether it's SpaceX or Bigelow Aerospace or even the traditional companies, there's a critical line between them. I think the best representation of it is our International Space Station mission where we are building a prototype module that will be launched on a SpaceX vehicle and then attached to the International Space Station where expandable habitat technology for the first time will be demonstrated in a crude context. GOLDAnd that's an example of government and the private sector working together to try and leverage the best of both worlds. REHMAnd you talk a lot about habitats or critics are saying that private ventures are far more interested in profit rather than science. How do you respond? GOLDI don't want to start out by laughing, but that would be, I think, the most appropriate response an accusation like that. I think whether it's an entrepreneur like Elon Musk or my boss Mr. Bigelow, there are certainly many, many easier ways to make money than in the aerospace industry. The old joke goes that if you want to make a small fortune in aerospace, you begin with a large one. REHMAll right. And I think Joel Achenbach has a question. ACHENBACHI just wonder if you could address the comment that Mr. Bigelow made when he was in Washington recently when he talked about how individuals should be able to own the moon, that the moon should be up for grabs as a sort of a real estate proposition. Can you explain what he was saying? GOLDYeah, I appreciate that. Happy new year to you, too, Joel. First of all, when we think property rights, I think we have to clarify what, you know, Mr. Bigelow is talking about, what we're hoping for. And let's go back throughout history. You know, I think for those of Mr. Bigelow's generation, even of my own, we had hoped by now that, you know, we would be having this conversation on Mars instead of Washington, D.C.
GOLDAnd the real push to the moon and beyond hasn't happened as people in the Apollo generation envisioned. And as you look at exploration from a historical context, what has been missing, I mean, every other push that we've had into new frontiers has been based on the ability to gain leverage and utilize property. And that's something that I think has been sorely missing from the space push. GOLDAnd when Mr. Bigelow -- uh-huh? ACHENBACHIsn't there an international treaty that essentially says you can't own the moon? GOLDIndeed there is. It's the 1967 Outer Space Treaty. And that's why I think it's important to clarify what we essentially use a shorthand when we say property rights. What Mr. Bigelow and I think other investors will look for is a safe and secure environment where if we put the money into developing systems and base on the moon, that we will be able to operate on a non-interference and non-impeachment basis. GOLDNot that you own it, which as you point out you can't do under the treaty but at the very least that we wouldn't face interference from other domestic entities. And that sort of authorization, coordination for safety is already done by the FAA's Office of Commercial Space Transportation and is frankly mandated by the treaty. REHMNo, I'm not sure. I'm not sure I really understand, Mike, the language that you're using sounds fairly proprietary and I'm not sure that I understand what you mean when you use that language in regard to the moon which, as Joel says, cannot be owned. GOLDYeah, let me back up a step and say that whenever there's a commercial launch, the FAA's Office of Commercial Space Transportation issues a license for that launch. Right now, under existing FAA regs, you can't get a license for putting up a payload, or a satellite or a spacecraft within 200 kilometers of a manned or mannable object, particularly the International Space Station. GOLDAnd what Mr. Bigelow was looking for and what we're referencing again using the shorthand, property rights, is that if we develop a manned system on the moon, that we can operate with the assurance that there won't be other domestic activities interfering in our zone of operation. REHMThat sounds pretty confusing to me. Mike Gold, director of D.C. Operations and Business Growth for Bigelow Aerospace. Thanks for joining us. Short break, right back. REHMAnd welcome back. We are talking about the future of NASA, what its mission is going to be with reduced funding, how it's going to meet the expectations of a nation, which is filled with many constituencies, all of which need, want money. How do you know what to cut, Lori? How do you know what constituencies in -- at the beginning of 2014 are going to serve the nation best of all going forward? GARVERWell, I think the great thing about the United States and our history is we know how to advance economically in a capitalist environment. And NASA shouldn't be separated out and be just trying to relive Apollo and doing it in a way like those we beat did it in a socialist way. I don't -- I think it's very clear that the investment NASA makes returns to our economy. A strong economy is a strong nation. And that is where NASA should bend its pick. REHMWhat programs do you believe should be cut? REHMGive me a second program you'd cut. GARVER...or going to Mars in a more creative and innovative way where we can, again, drive technology. ACHENBACHJust to clarify, so the -- in 2020, there's going to be another rover on Mars that's essentially a duplicate of the one we have there now, Curiosity. And so Lori is saying that that's not a mission that she would have had chosen. But I'm curious to ask Scott, so Lori is pretty emphatic that she would not have funded this new heavy-lift rocket, the SLS, and Orion. What's your position on that? PACEWell, the problem with it is, first of all, if we're going to be going to Mars, eventually, someone wants to have a heavy-lift -- if someone wants to do a human mission to Mars, you basically do need a heavy-lift vehicle. And I think people can argue about, when do you need that? Do you need that heavy-lift vehicle, you know, today? Or could you have waited later? PACEAnd one of the brilliant things I thought about Constellation was that you really built a smaller vehicle first, the Ares I, which allowed you to go back to the moon. That put much of the down payment for a heavy-lift vehicle that you later could do for going to Mars. You allow time for commercial crew and cargo systems to develop. It was a very, very tightly-integrated system that proceeded out in a logical fashion. But that's not where we are today. GARVERThe rocket is so similar, and it's built off of 1970s' technology. The very engines we're going to use are space shuttle engines that were developed in the 1970s. Would you really go to Mars with a technology that's 50 years old? That's not how -- what innovation and our space exploration program should be all about. REHMAll right. I'm going to open the phones first to Jerry in Adena, Ohio. You're on the air. JERRYGood morning. Wonderful show. I think that we are thinking too small. We need to employ the planet. We need to build everything in space, an international space station through to Mars. We have the possibility that something catastrophic could happen to this planet is looming. And they showed every day on the science shows we need to think big. We need to get the planet employed. That's basically my comment. REHMWhat do you think there, Scott Pace? PACEWell, I think there's an issue that's come up in the last couple of years, greater awareness of the importance of planetary defense. We've seen that asteroids and objects can come and hit and cause damage on the earth. And most of the scientific community is pretty well on the same page that the idea is find them early, find them often, find them early. And so doing more survey work on asteroids and understanding they're objects and being able to do something about them is certainly a worthwhile goal. ACHENBACHI'd just like to say that I resist the idea that the earth, you know, may be doomed and we need to have a second chance somewhere else. I think that gives up on this planet a little quickly, and I think it's not very realistic that we're going to colonize Mars or any other planet any time in our lifetime or in our children's lifetimes. ACHENBACHAnd I think that, although it's certainly -- you know, we all care about the preservation of our species. I think we also should care about the preservation of all the life on Earth and the biodiversity that we're causing a major decline in as we speak. So, you know, the notion that there's another landing spot for the human species 'cause something bad might happen here, I'm not terribly sympathetic to that view. REHMAll right. Here's a comment on exactly that from Nathan in Durango, Colo. Hi there. NATHANHi, Diane. How are you doing today? NATHANHappy New Year. Thanks for having me on. NATHANSo my question/comment for you and the panelist is this: With Earth coming close to, if not already breaching, carrying capacity, shouldn't we be putting more funding into exploration for resources to sustain this growing population and, further down the road, colonization so that, with the growing population on a planet that doesn't have the resources to support the numbers of citizens, should we be looking further out into the frontier? REHMThat's exactly in contrast to what you just said, Joel. ACHENBACHI think we need to have a sustainable planet here. I think if we become a two-planet species and don't solve the problem of sustainability, we'd just have a bigger arena for our problem. REHMWhat do you think, Scott Pace? PACEWell, I think the question is: Is there a human future in space? And we really don't know. We have people who hope and think that there will be one. But we need to answer questions about whether or not humans can live beyond the planet Earth, if that's even possible for long periods of time. And we need to find things that are commercially useful to do. Can we pay for this in some way? If we can answer yes to both those questions, then we get space colonies. We get space settlements. REHMAnd do you think the private sector is going to move more quickly than the federal government on those issues? PACEWell, I would certainly hope so. If they can't beat the federal government, then there's something wrong. But I think they should be given the opportunity. And the thing is, we simply don't know. The purpose of exploration, the purpose of trying out new markets is to find out whether or not there is a human future beyond this planet. REHMBut, see, that brings back into question the relationship between the private companies and the federal government. Are they really working together or totally at different purposes? Lori. GARVERWell, I believe that, in this country, we have chosen absolutely that the government should be working productively with the private sector. And whether that is just us buying things from the public sector or just regulating from the private sector, that's certainly an area that we look at across the board. In my view, NASA has worked with the private sector successfully for its entire history. That just needs to evolve. We need to find ways to incentivize the private sector to do more. GARVERIf you look at aviation, I think yesterday was the 100th anniversary of commercial aviation. So that was commercialized within 11 years of the first flight. Now, we are, what, nearly -- the first commercial spaceflight for a human was 40 years after the first spaceflight. We should be able to capitalize with the private sector on these new markets. The caller mentioned resource utilization. GARVERThat's an area the private sector has an interest in. Tourism is certainly already happened, but it's Russia who's been capitalizing on it. The U.S. is going to be able to do that as we get launch cost down. And the way to get launch cost down is to let the private sector innovate, which is what NASA's doing. It's an incredibly valuable program. REHMAll right. To Mark in Oklahoma City. Hi there. MARKOh, good. Yeah, you all touched on the International Space Station earlier and also had the phrase, the Apollo generation, which I'm old enough to be a part of. And I get the impression, well, these many years that succession of NASA administrators failed to grasp what I would think would be the key to the success of NASA, which is to capture the public imagination in favor of a kind of bureaucratic response that the purpose of NASA is to lobby certain members of Congress in certain districts to keep the funding streamed to aerospace contractors. MARKAnd you can't keep the funding stream and members -- and lobby members of Congress successfully if you lose the public imagination. I think that, for one thing, the focus on the space station was not anywhere near as exciting as some of these planetary probe missions with exciting pictures that came back or the Hubble telescope or a variety of other things. It was just the International Space Station was just a huge money pit to keep the funding streamed to aerospace contractors with no overall purpose other than the funding stream and therefore lost the public imagination. REHMAll right. Thanks for calling, Mark. ACHENBACHYeah. I'll make one quick comment, which is that, back in 2004, I think it was -- and Scott had mentioned this earlier -- the vision for space exploration, there was a real attempt at NASA to come up with a new era based on exploration, doing really cool new stuff in deep space, getting out of low-Earth orbit. 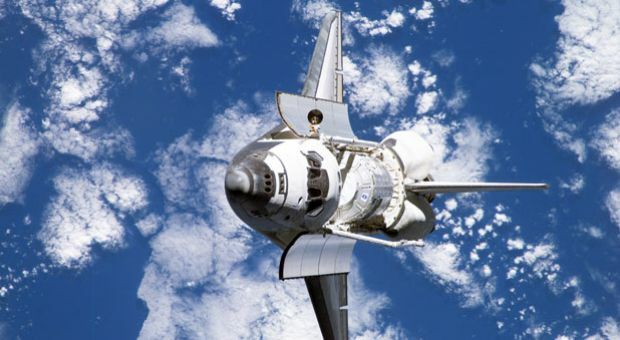 ACHENBACHI think it was a recognition that the space shuttle program and the space station program did not fulfill all of NASA's potential to excite people and to go new places. But even when the Constellation Program was put together, which was built around the idea, let's go back to the moon and then eventually to Mars, the public was never fully invested in going back to the moon. ACHENBACHAnd I remember writing in The Washington Post that it was unclear if this would actually happen because it was a program you could imagine being cancelled in the future by some future Congress or some future president, and that is exactly what happened. It got cancelled because -- and when it -- I don't think the public went into an uproar when the moon mission, the Constellation mission was cancelled. So whatever NASA does, if it tries to do something really big and bold, like a human mission to Mars, if it tries to do that, it needs to have that public support and public excitement. REHMAll right. Tell me a little about SpaceX. ACHENBACHWell, SpaceX is interesting because Elon Musk, who runs SpaceX, who's the founder of it, he knows exactly what he wants to do, which is he wants to go to Mars. He wants to put thousands of people on Mars. He's very much a believer in -- I think one of the earlier callers referred to, which is let's make ourselves a multi-planetary species. ACHENBACHSo he's not going to go to the moon. I don't think that the SpaceX has any plans to go to the moon. And thanks, in part, to NASA's programs, the commercial crew and commercial cargo programs, SpaceX has done amazing work. They have thousands of people working for them now. And so they're definitely one to watch. REHMAnd you're listening to "The Diane Rehm Show." Let's see. Mike has a question. He's in St. Louis. Hi there, Mike. MIKEI'm glad you're having the discussion. I've been trying to have this discussion in the public arena for many years. And it's really about the vision -- we went to the moon, which was a political thing, and it was an amazing thing. It was the first time we stepped outside onto a celestial body. And we've done that. And so further out places just don't have the public imagination possibilities, especially in our virtual world, where we're having this conversation virtually right now. We're all talking to each other. We're doing almost so many things of our life now are virtual. MIKEAnd we don't even appreciate the fact that why would we want to heave a human being, in its current configuration, all the way out to Mars just for, really, entertainment. You know, the things that we can do virtually are so much beyond, and it's really an opportunity for us. Spending the billions and billions and billions of dollars that it would take to do that for really what end versus using that money to understand who we are and to build maybe more Hadron Colliders and things that we can do here on Earth, where we as humans still belong. REHMInteresting. What do you think, Lori? GARVERWell, to me, I think there is a human imperative to explore. But you're correct. We're doing it now in so many ways virtually. And I think where we can do it virtually, we do, and we reserve those places to spend, at least from the taxpayers' perspective, the billions of dollars for human spaceflight on those things that return value. So, no, I don't think we should keep reliving the past. It is a very romantic time of Apollo, and we have a lot of nostalgia for it. But it's a little like why also have a lot of nostalgia for big, heavy, old cars. GARVERAnd they're not what we need today. REHMTell me how successful Elon Musk has been so far. ACHENBACHWell, SpaceX, just a few weeks ago, launched a commercial satellite into geosynchronous orbit. And it seems to be poised to capture a big piece of the military and national security launch business, which currently has been monopolized by United Launch Alliance, which is a Boeing-Lockheed joint operation. ACHENBACH…'cause they could imagine that the human destiny is there. Now, that seems to me a little bit fantastic in the literal sense. But certainly there's a lot of drive there in that company to do just that. REHMWhat do you think, Scott? REHMHow successful might that company be? GARVERThat's the absolute key: Doing things in new ways. They've taken what would have been a hundreds of billions of dollar launch and -- hundreds of millions and made it 60 million, and that is going to help the United States. And that is what we should be doing in our space program, is driving innovation and help this country again lead the world. REHMLori Garver, she was NASA deputy administrator from 2009 to 2013. She's now with the Air Line Pilots Association. Joel Achenbach at The Washington Post, his occasional series is called "Destination Unknown," all about NASA and the future of space exploration. And Scott Pace, director of the Space Policy Institute at George Washington University, thank you all and a Happy New Year.